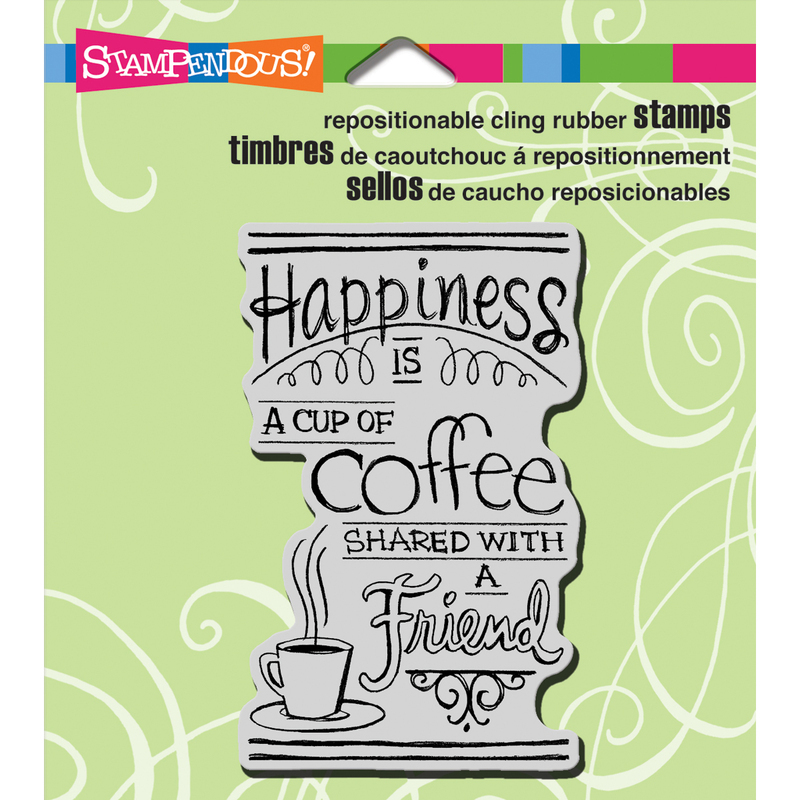 STAMPENDOUS-Cling Rubber Stamp. These are the same premium quality precision trimmed rubber stamps as the Stampendous wood-mounted version. A piece of cling vinyl has replaced the wood on the adhesive side of the foam allowing the image to be used with any acrylic block (sold separately). Simply remove the disposable acetate layer revealing the vinyl cling with printed image, press onto a block, align and stamp! Use any ink that can be used with traditional wood-mounted stamps and clean with wood-mounted stamp cleaner. This 4-3/4x4-1/2 inch package contains Shared Coffee: one cling rubber stamp. Made in USA.